English, Paperback, 15.5 x 23.5 cm, ca.560 pages last copies - special price ! Last Train to Memphis is arguably the first serious biography that refuses to dwell on the myth of ElviS. Aiming instead to portray in vivid, dramatic • terms the life and career of this outstanding artistic and cultural phenomenon, it draws together a plethora of documentary and interview material to create a superbly coherent and plausible narrative. 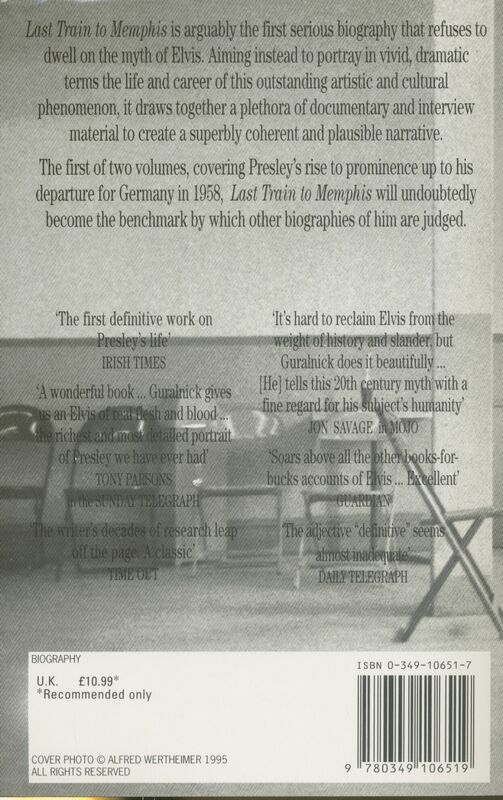 The first of two volumes, covering Presley's rise to prominence up to his departure for Germany in 1958, Last Train to MemphiS will undoubtedly become the benchmark by which other biographies of him are judged. 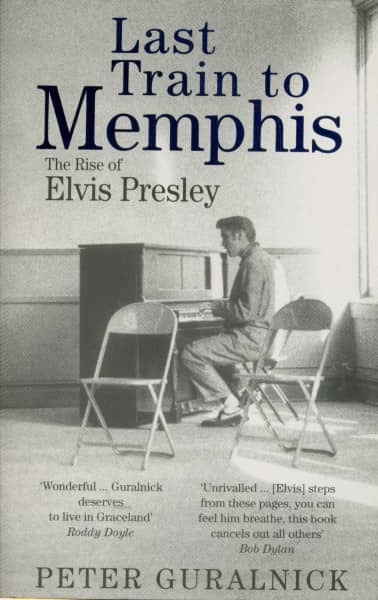 'Last Train to Memphis' was hailed on publication as the definitive biography of Elvis Presley. Peter Guralnick's acclaimed book is the first to set aside the myths and focus on Elvis' humanity, as it traces Elvis' early years, from humble beginnings to unprecedented success. At the heart of the story is Elvis himself, a poor boy of great ambition and fiery musical passions, who connected with his audience and the age in a way that has yet to be duplicated. The book also brings to life the world Elvis arrived in, America in the fifties and the people who, together with Elvis, would change that world forever. The first part of a two-volume biography, 'Last Train to Memphis' traces the first twenty-three years of Elvis' life, ending somberly in 1958 with his induction into the army and the death of his mother, Gladys. Drawing frequently of Elvis' own words and on the intimate reflections of those who knew him, this is biography at its best and a classic in the chronicling of our culture. Évaluations de clients pour "Last Train To Memphis by Peter Guralnick"